Pictured below are Lion President John Perkins and The Reverend Julie Johnson at St Matthew's Church in Edgeley, Stockport. 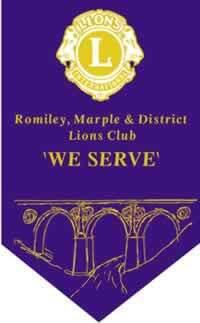 Romiley and Marple Lions donated a number of bottles to the church. The bottles will be distributed in the local area. Our club distributes the bottles free of charge, however Reverend Julie gave the club a welcome donation towards our other charitable work.